As a loyal Newcastle United supporter I’ve not one ounce of sympathy for Liverpool fans who’ve now gone three full seasons without a trophy to show for their efforts. 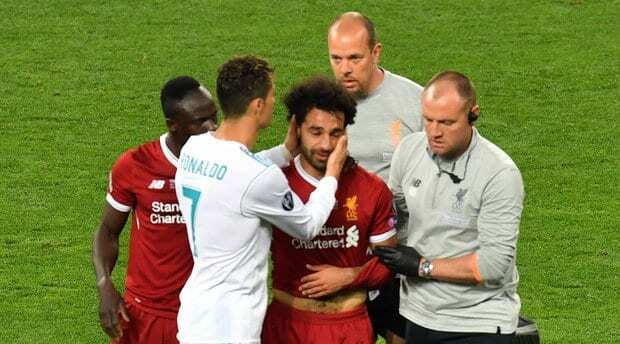 Not even the brilliant Mo Salah could knock out a couple before he was injured and taken off the pitch in Kiev during the Champions League final loss to Real Madrid. While it may seem a little harsh the nearest I’ve come to feeling any cup glory as a member of the Toon Army was shaking hands with someone who had touched the Inter-Cities Fairs Cup in 1969 when the then manager Joe Harvey took the cup to her junior school in County Durham. As for Europe, well in 2006 we did win the UEFA Intertoto Cup. “What the hell was that?” I heard you cry, exactly! It was discontinued two years later. So moving on swiftly, Liverpool, by comparison, has won five European Cups, three EUFA Cups and three EUFA Super Cups not to mention seven FA Cups, 8 League Cups. 15 FA Community Shields and 18 League titles. So what does it matter Manager Jurgen Klopp remains without a trophy he got you to the fine; in Kiev, didn’t he? All this talk about what a painful night it was for Liverpool comes from sports writers who have no idea of the never-ending rollercoaster ride that is involved in being a Newcastle United fan. Just be thankful you got to the final. The person I really feel sorry for is the Liverpool goalie – I mean what a schoolboy howler that was! Loris Karius, the 24-year-old waited until the Champions League final to put on a shockingly bad performance that will haunt him forever. When he hurled the ball against Karim Benzema leg giving him the opening goal, admittedly I was gob-smacked and I doubt if my 91-year-old mum could have fumbled the ball like he did as he tried to stop Gareth Bale’s speculative shot and failed. Apparently the poor lad is getting death threats now, which he doesn’t deserve although quite what the legendary Bill Shankly would have said and done doesn’t bear thinking about. So to the Liverpool fans I would say reach out for a bit of Monty Python. This’ll start you off: “Some things in life are bad. They can really make you mad. Other things just make you swear and curse. When you’re chewing on life’s gristle. Don’t grumble, give a whistle. And this’ll help things turn out for the best. And always look on the bright side of life. Europe can go to hell for all I care – Trump!